EScience Press has formulated this privacy statement in order to demonstrate its firm commitment to the privacy of its users. EScience Press reserves the right to change these policies at any time and to publish the new terms on this website. Readers are advised to review the latest policies. Personal information you provided while registering with EScience Press refers to all information about you as an identifiable individual, including (but not limited to) your name, address, email address, telephone number, and identity number. Visitors using the EScience Press products and services may be asked to fill out a questionnaire as part of the user registration process. Registrants’ information will be utilized to refine and improve the content and services of EScience Press. The information provided will not be sold or re-distributed to third parties without the explicit permission of the user, unless obliged to do so by law or legal processes. If you want to update any of your personal information held by us, you can either make certain changes online by amending your account details (if enabled), or you can send an email detailing the required amendments to info(AT)esciencepress.net Furthermore, upon a user’s request, EScience Press will use commercially reasonable efforts to functionally delete the user and his or her personal information from its database; however, it may be impossible to delete a user’s entry without some residual information because of backups and records of deletions. If you wish for your details to be deleted from our database, then please send an email to us at info(AT)esciencepress.net stating just that. As soon as a user visits EScience Press websites, a “cookie” is placed within his or her web browser. “Cookies” are small text files that EScience Press uses to recognize users, facilitate the user’s on-going access to and use of the site, and allow a site to track usage behavior and compile aggregate data that will allow content improvements and targeted advertising. Cookies are not programs that come onto a user’s system and damage files. EScience Press cookies work by assigning a unique number to the user that has no meaning outside of our web sites. This cookie poses no security risk and cannot in any way harm your computer; its purpose is to allow access to the EScience Press websites without the need to input a user name and password each time. However, users should remember their password, as they will be prompted to use it when they access the EScience Press websites from a different computer or browser. Furthermore, users who have configured their browser not to accept cookies will not be able to log in to EScience Press websites. 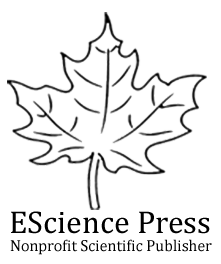 EScience Press may contain links to external sites. EScience Press is not responsible for the privacy practices or the content of such external sites. Users are advised to review the policies of such sites before they disclose any personal information on those sites. Every time you connect to our website we store web server logs which show your IP address (the unique number which your machine uses when it is connected to the Internet); what you looked at; whether the page request was successful or not, and which browser you used to view the pages. The use of this data is strictly for statistical and personalization purposes only. This helps us understand which areas of the site are of particular interest and also which pages are not being requested. It also tells us how many hits and page requests we receive. There are no fees associated with registering or browsing the EScience Press websites, but users are required to pay fee for the services we are providing. EScience Press uses Virtual Card Services to process credit card purchases. EScience Press doesn’t have access to card holder’s credit card details. EScience Press do not keep or store your credit card details. It is the user’s responsibility to keep his or her Internet browser up to date in order to ensure that the latest security technology is available to him or her. For more information, please contact us to assist you in obtaining the latest version of Internet Explorer, Mozilla Firefox or Google Chrome.